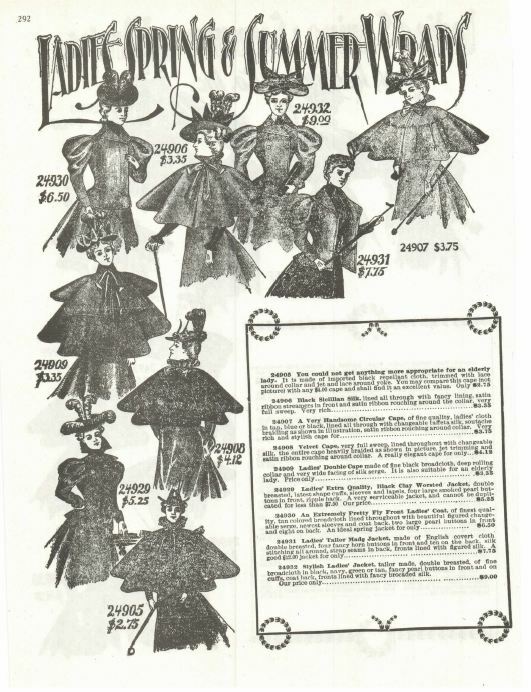 There's nothing like looking through old department store catalogs such as these. 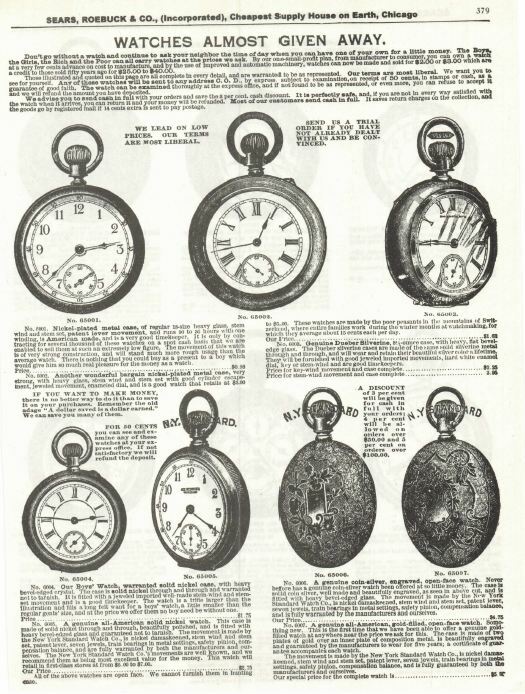 Before the internet, there was malls, and before the malls, there was these catalogs. 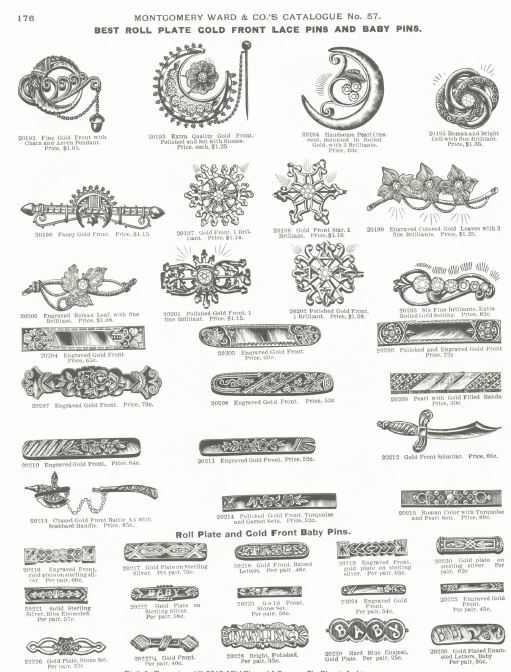 Each book is in high resolution PDF format. 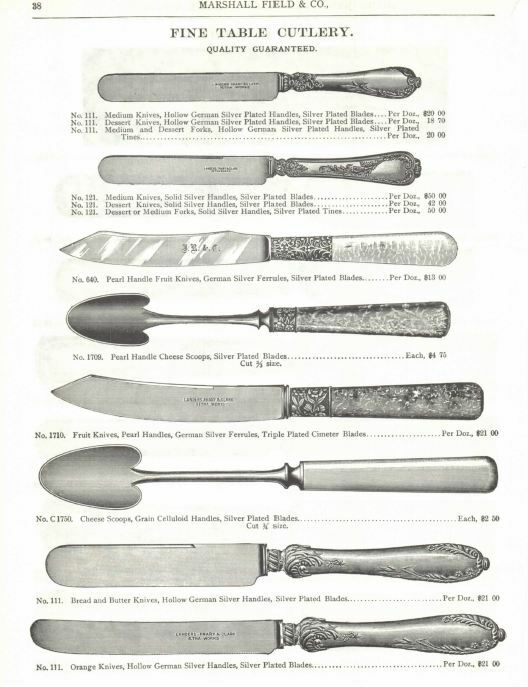 19 Vintage Catalogs on DVD! 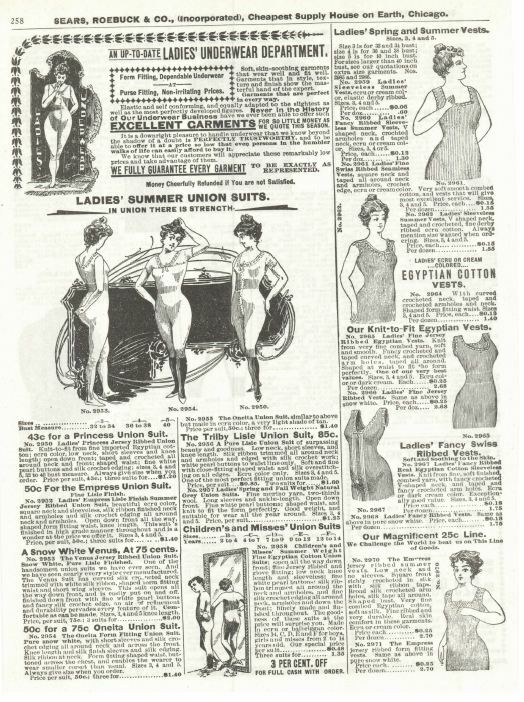 There's nothing like looking through old department store catalogs such as these. 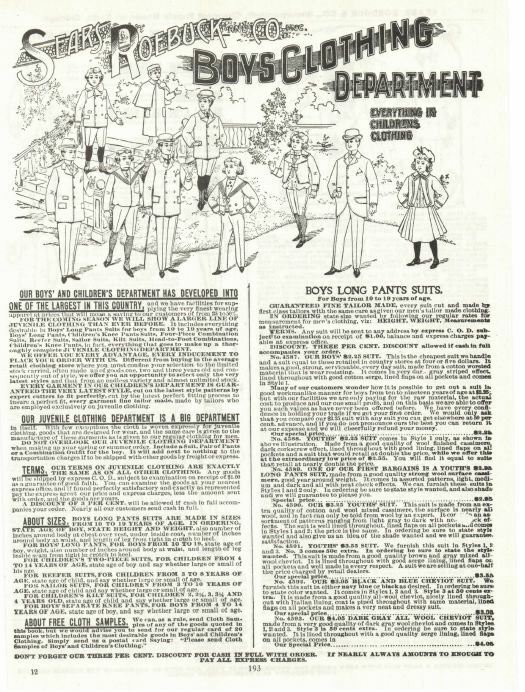 Before the internet, there was malls, and before the malls, there was these catalogs. 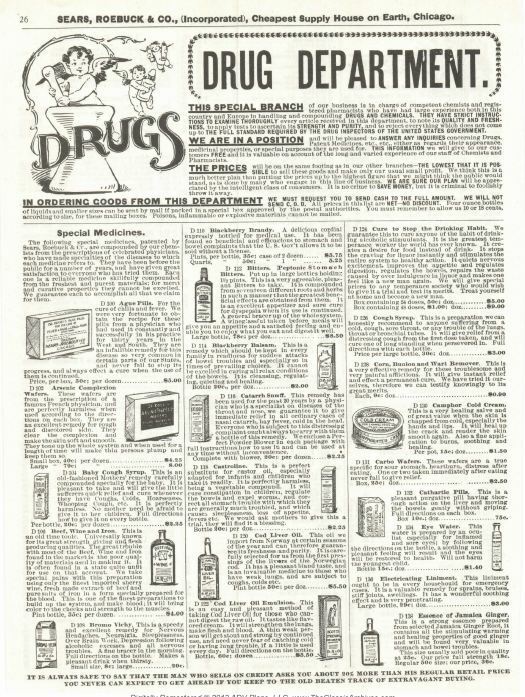 These WERE the internet mail order of the day. 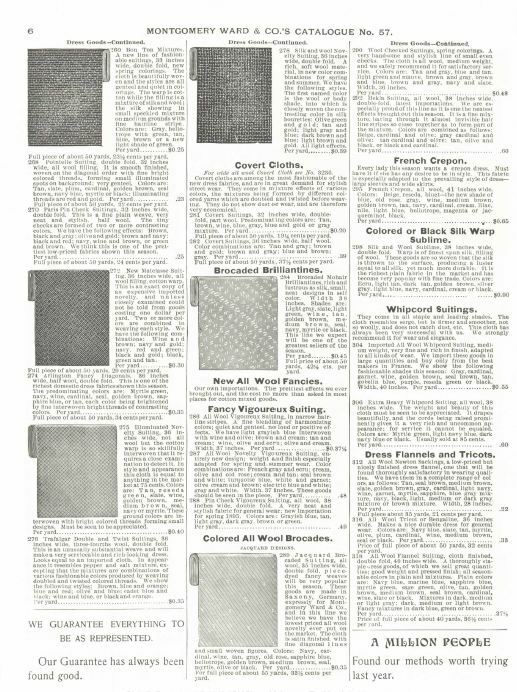 Several thousands of pages of catalogs is included here that give a glimpse into the fashions and styles of the day. 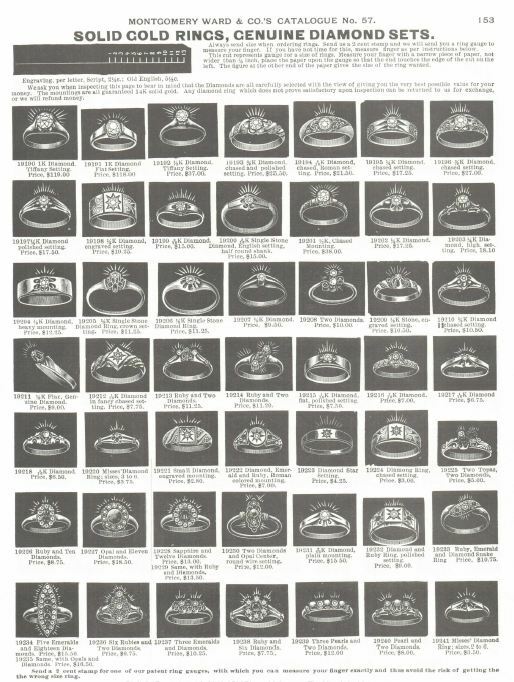 The most striking thing you see here is how strongly the dollar has been devalued in the last 100 years. 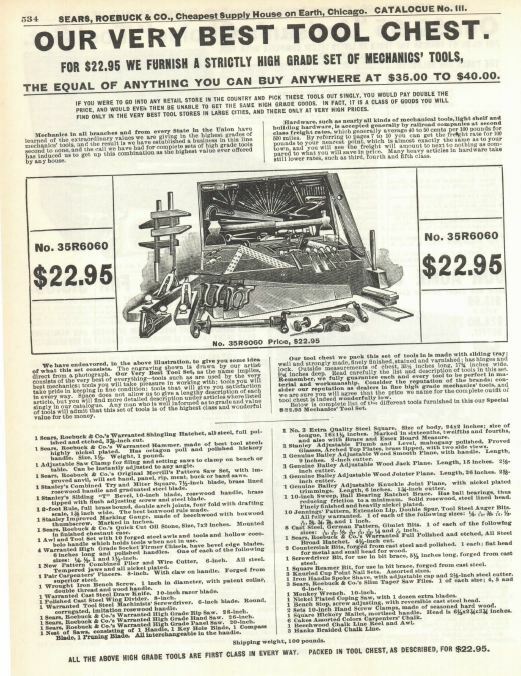 Peruse through an old Sears catalog here and you can see a bicycle for $11 dollars, a hammer for 40 cents, a complete manufactured HOUSE for $1700 bucks, a cast iron steel range for $29 bucks, the list goes on and on. 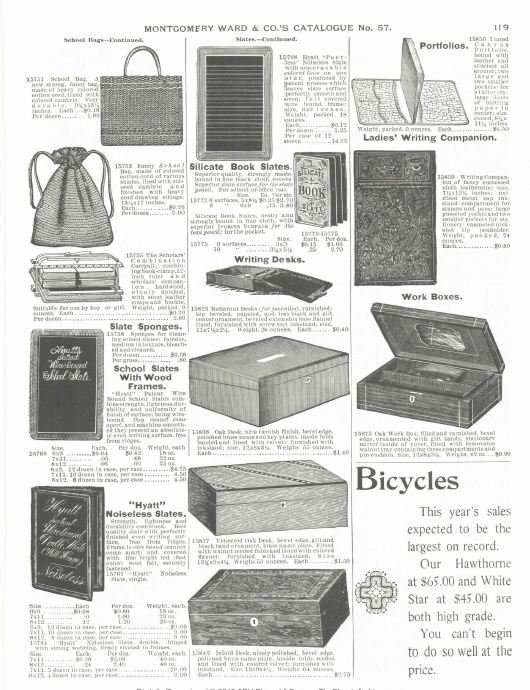 These catalogs represent a time capsule in American history and we are proud to offer them to you today. 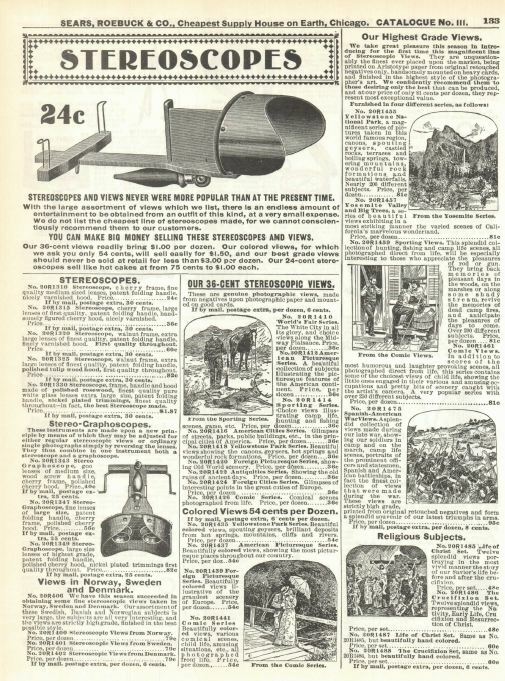 Montgomery Ward was founded by Aaron Montgomery Ward in 1872. 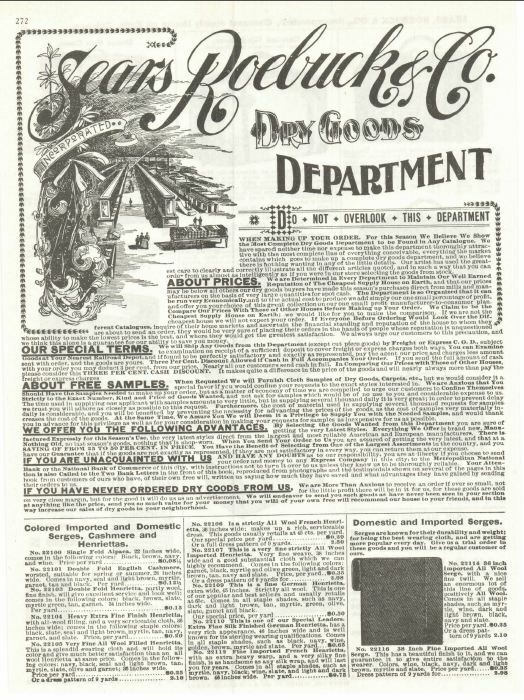 Ward had conceived of the idea of a dry goods mail-order business in Chicago, Illinois, after several years of working as a traveling salesman among rural customers. 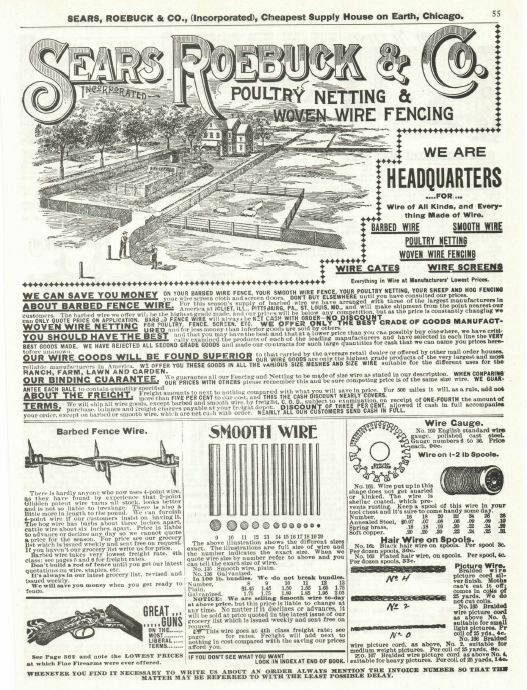 He observed that rural customers often wanted "city" goods but their only access to them was through rural retailers who had little competition and offered no guarantee of quality. 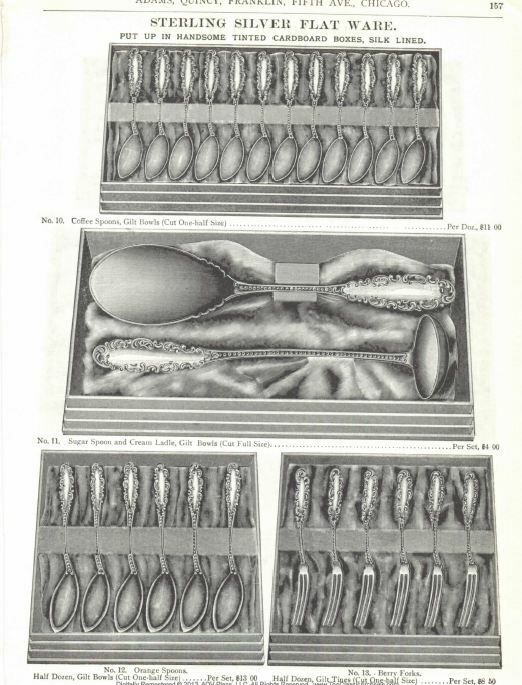 Ward also believed that by eliminating intermediaries, he could cut costs and make a wide variety of goods available to rural customers, who could purchase goods by mail and pick them up at the nearest train station. 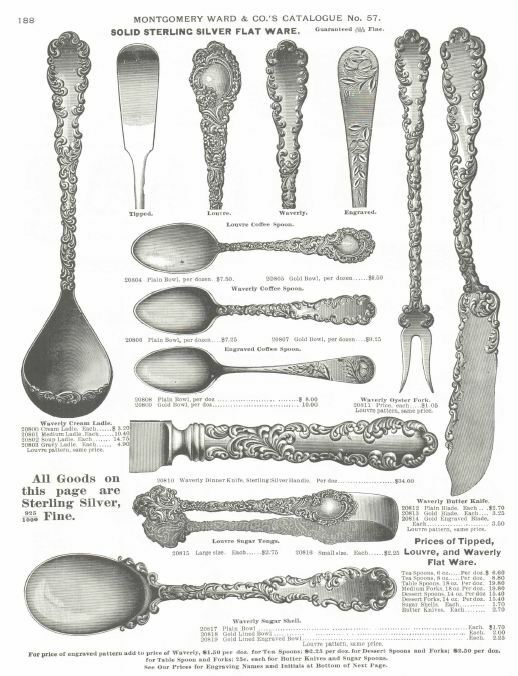 After several false starts, including the destruction of his first inventory by the Great Chicago Fire, Ward started his business at his first office, either in a single room at 825 North Clark Street, or in a loft above a livery stable on Kinzie Street between Rush and State Streets. 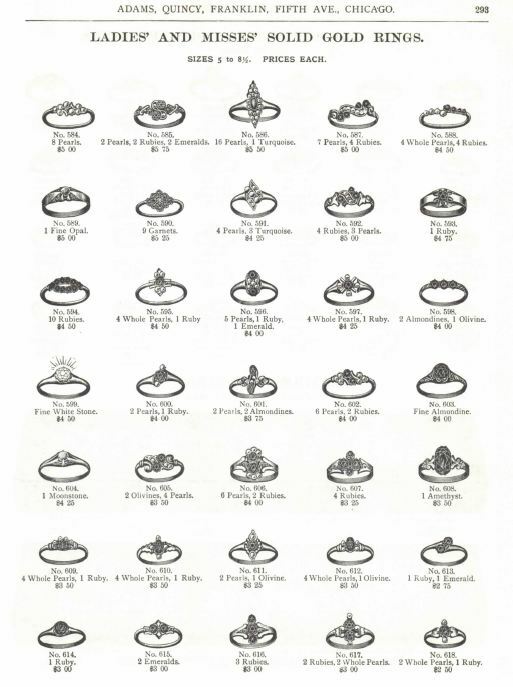 He had two partners and used $1,600 they had raised in capital. 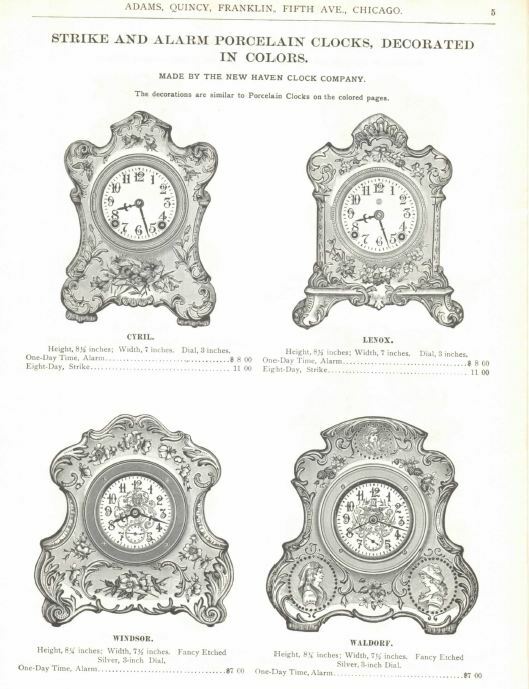 The first catalog in August 1872 consisted of an 8 by 12 in. 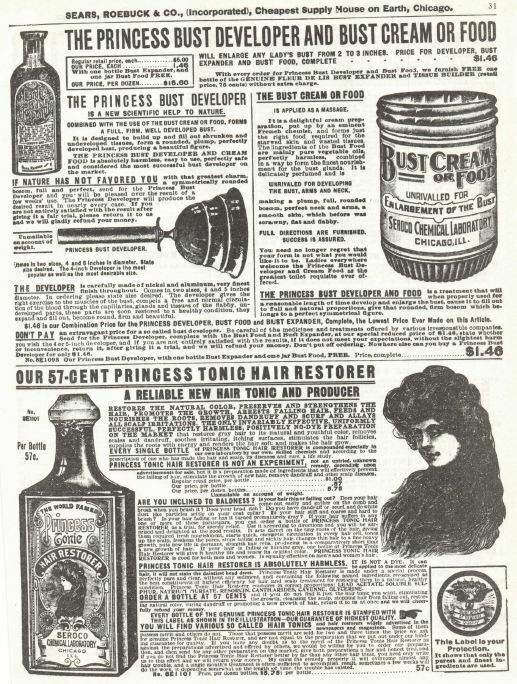 single-sheet price list, showing 163 articles for sale with ordering instructions. 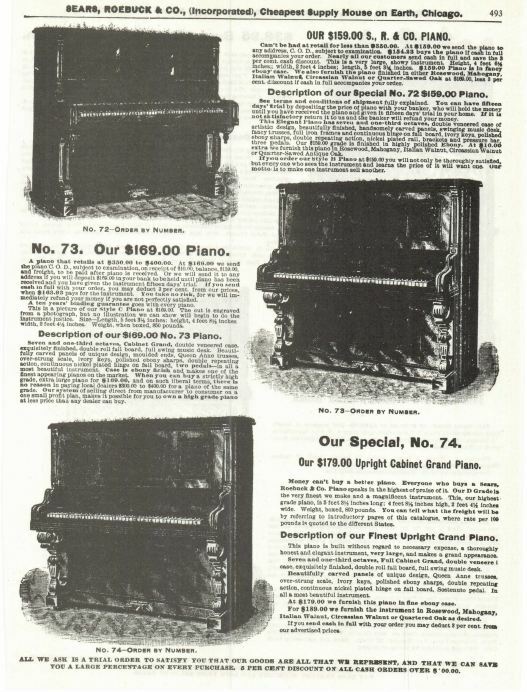 Ward wrote the first catalog copy. 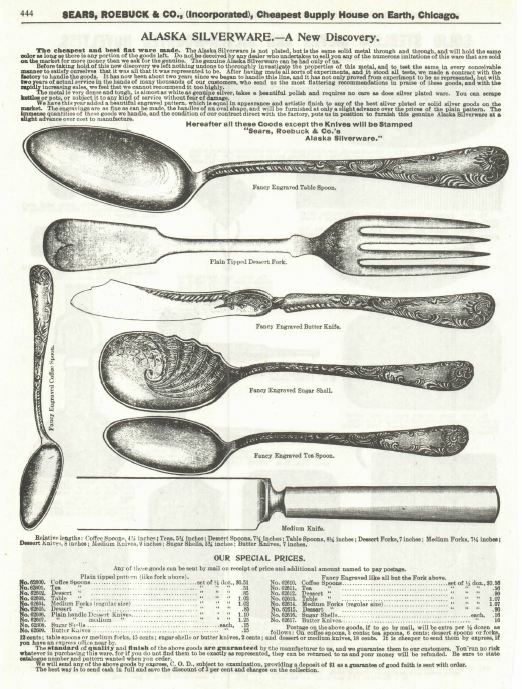 His two partners left the following year, but he continued the struggling business and was joined by his future brother-in-law George Robinson Thorne. 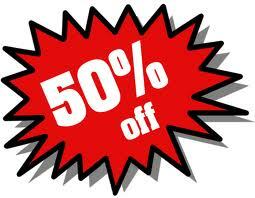 In the first few years, the business was not well received by rural retailers. Considering Ward a threat, they sometimes publicly burned his catalog. 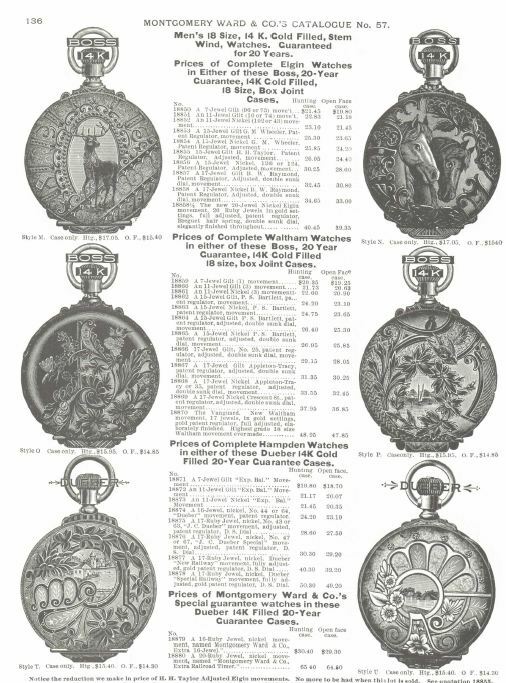 Despite the opposition, however, the business grew at a fast pace over the next several decades, fueled by demand primarily from rural customers who were attracted by the wide selection of items unavailable to them locally. 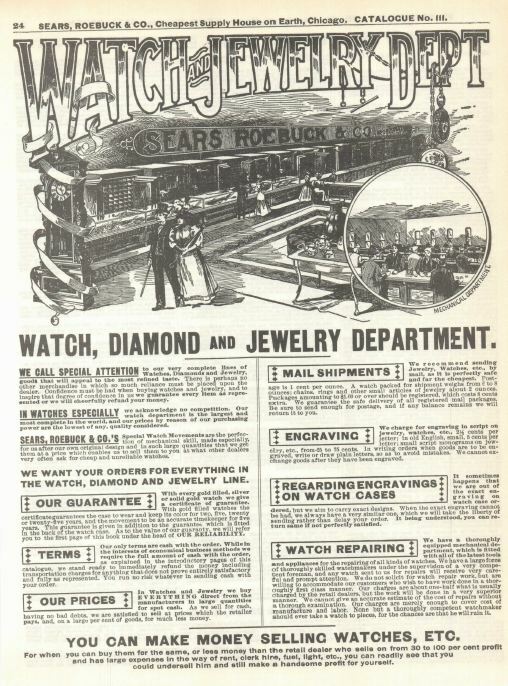 Customers were also attracted by the innovative and unprecedented company policy of "satisfaction guaranteed or your money back", which Ward began using in 1875. 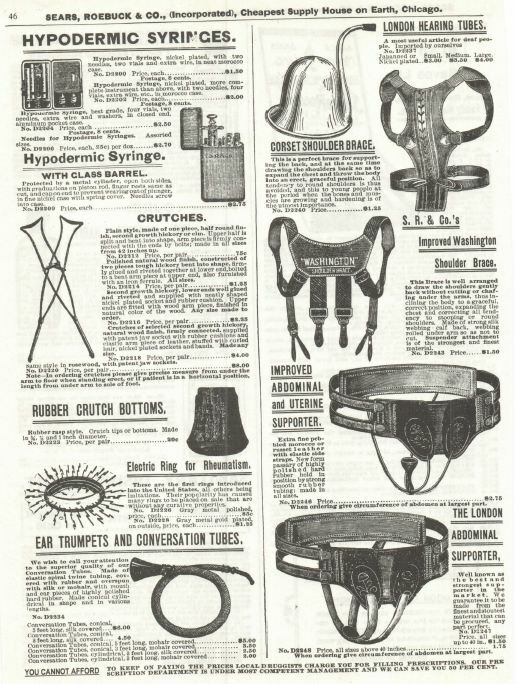 Ward turned the copy writing over to department heads, but he continued poring over every detail in the catalog for accuracy. 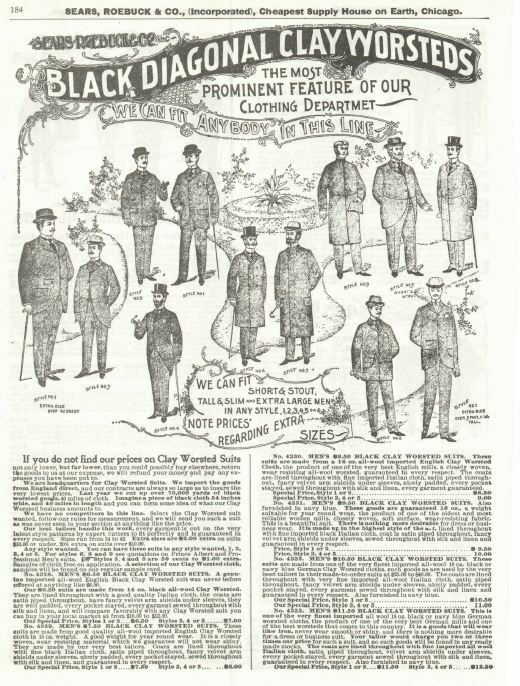 Ward became widely popular among residents of Chicago, where he championed the causes of the common folk over the wealthy. 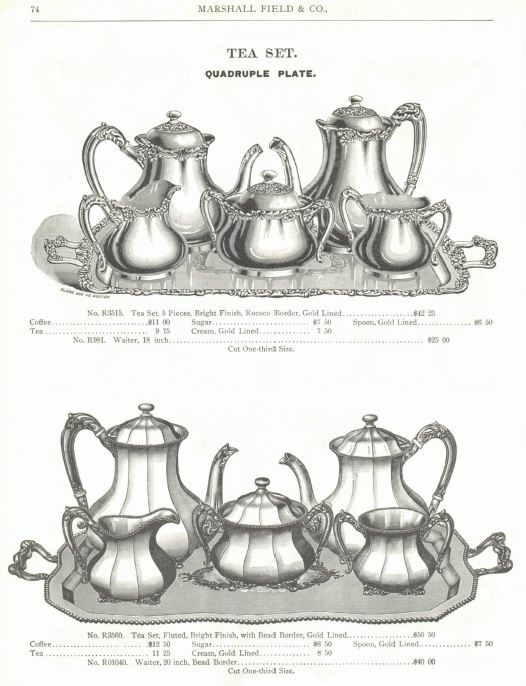 He was notable for his successful fight to establish public parkland along Lake Michigan. 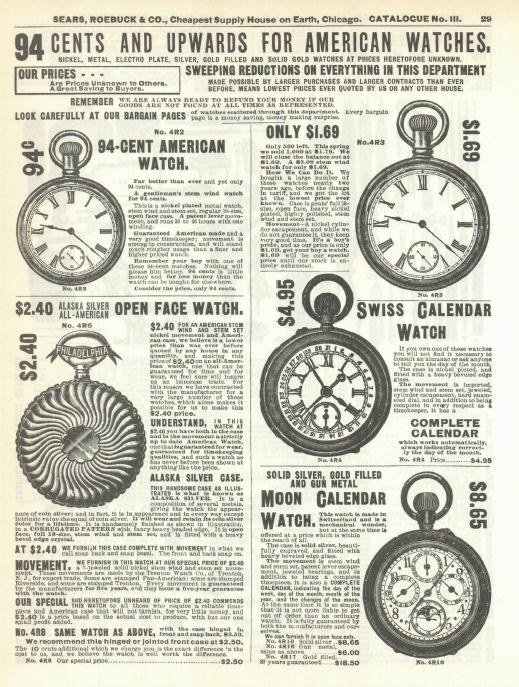 In 1883, the company's catalog, which became popularly known as the "Wish Book", had grown to 240 pages and 10,000 items. 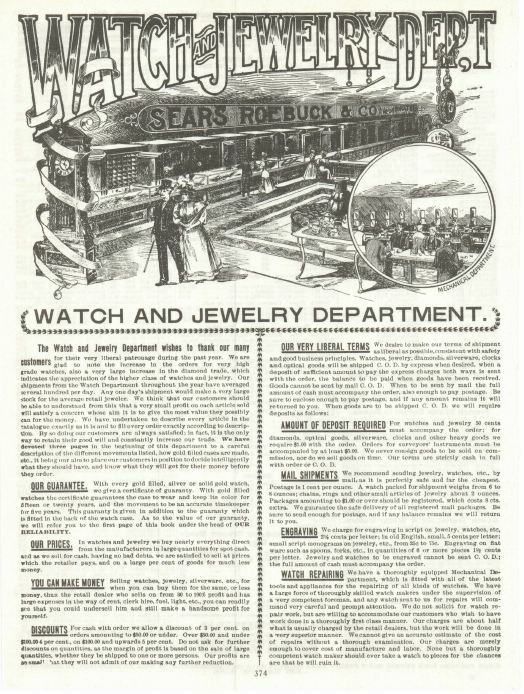 In 1896, Wards acquired its first serious competition in the mail order business, when Richard Warren Sears introduced his first general catalog. 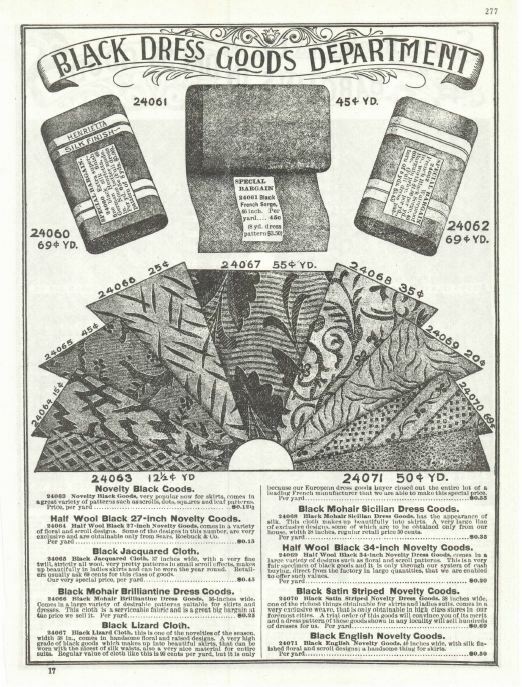 In 1900, Wards had total sales of $8.7 million, compared to $10 million for Sears, Roebuck and Co., and the two companies were to struggle for dominance for much of the 20th century. 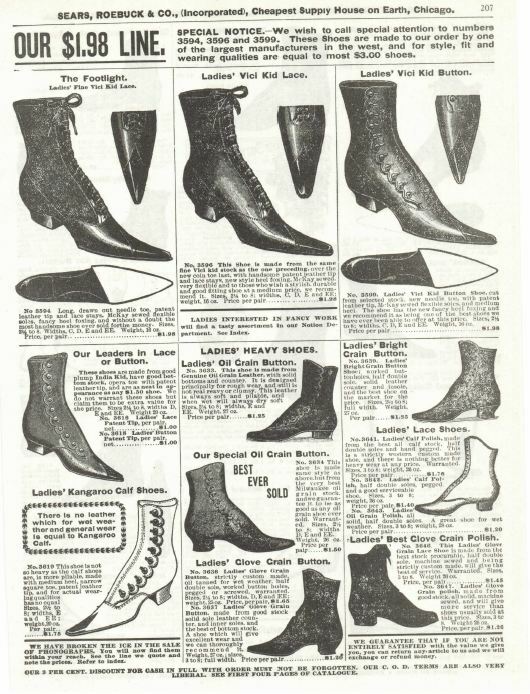 By 1904, the company had grown such that three million catalogs, weighing 4 pounds each, were mailed to customers. 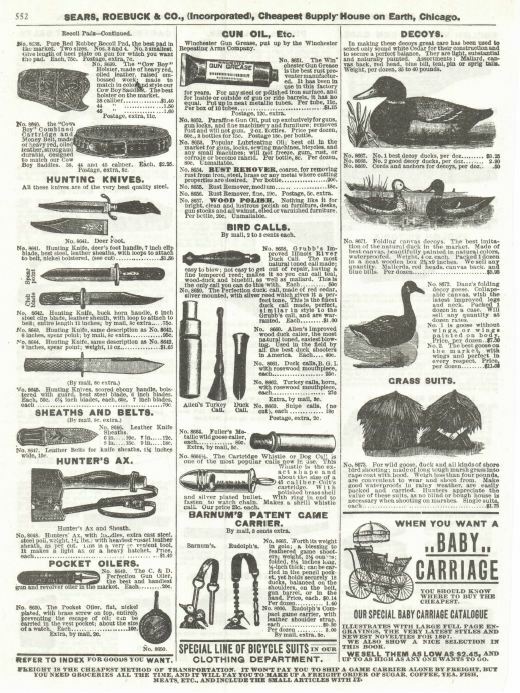 Before the Sears catalog, farmers typically bought supplies (often at high prices and on credit) from local general stores with narrow selections of goods. 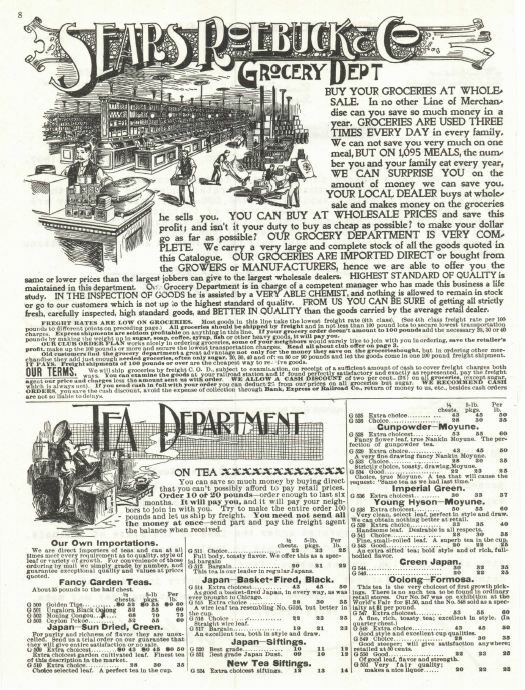 Prices were negotiated (by the man of the family), and depended on the storekeeper's estimate of a customer's creditworthiness. 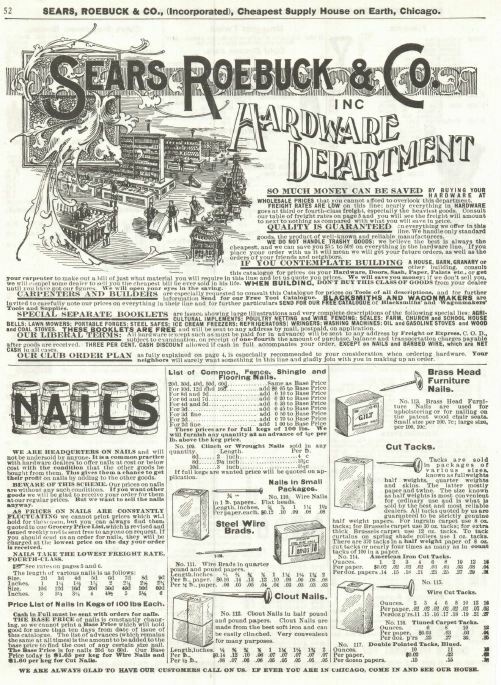 Sears took advantage of this by publishing catalogs offering customers a wider selection of products at clearly stated prices. 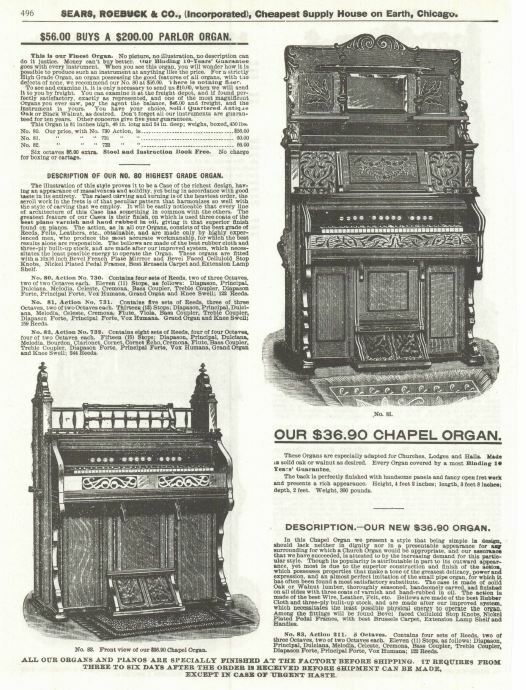 The business grew quickly. 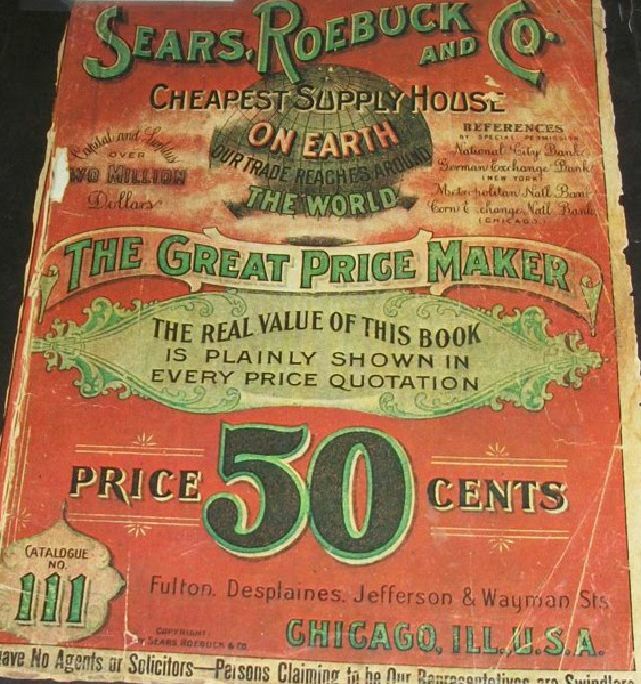 The first Sears catalog was published in 1888. 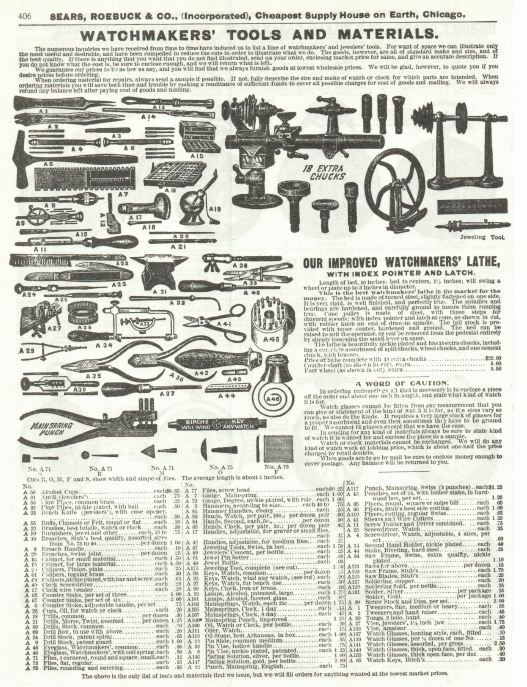 By 1894, the Sears catalog had grown to 322 pages, featuring sewing machines, bicycles, sporting goods, automobiles (produced from 1905 to 1915 by Lincoln Motor Car Works of Chicago, not related to the current Ford line), and a host of other new items. 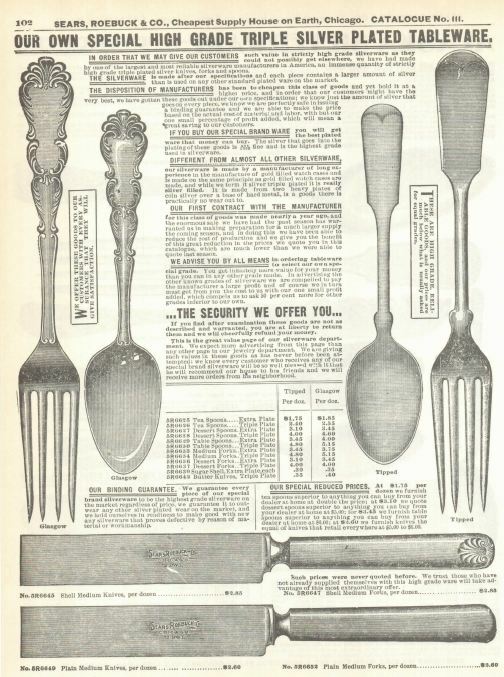 By 1895, the company was producing a 532-page catalog. 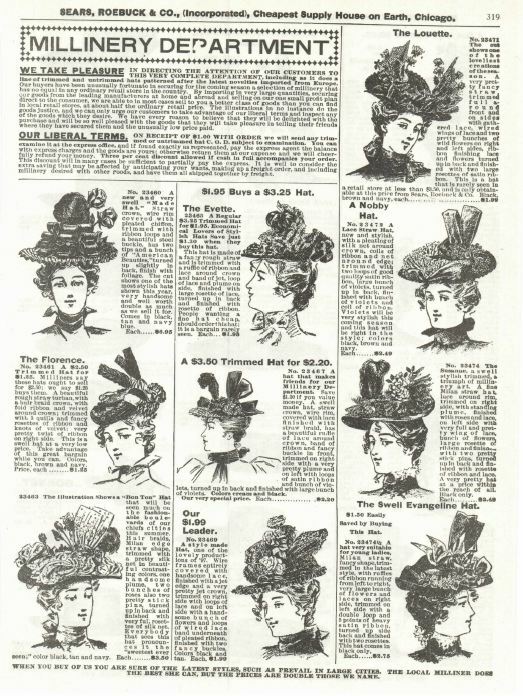 Sales were greater than $400,000 in 1893 and more than $750,000 two years later. 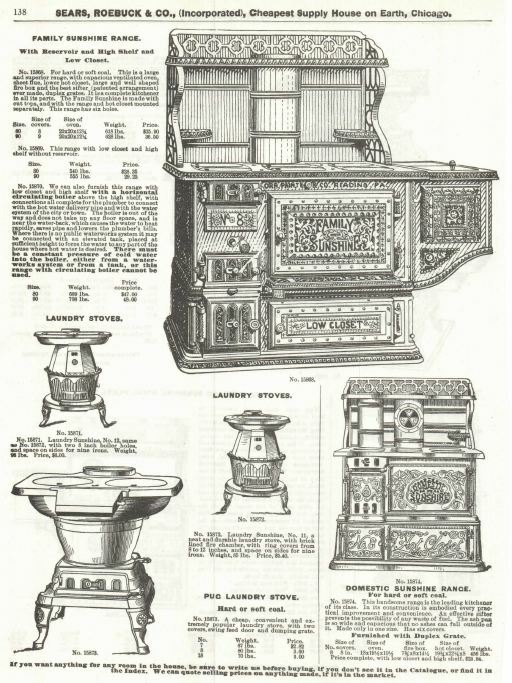 By 1896, dolls, stoves and groceries had been added to the catalog. 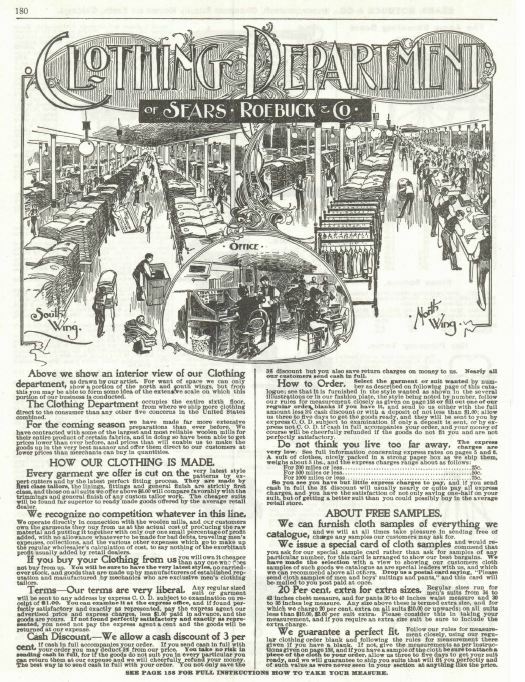 In 1906 Sears opened its catalog plant and the Sears Merchandise Building Tower in Chicago. 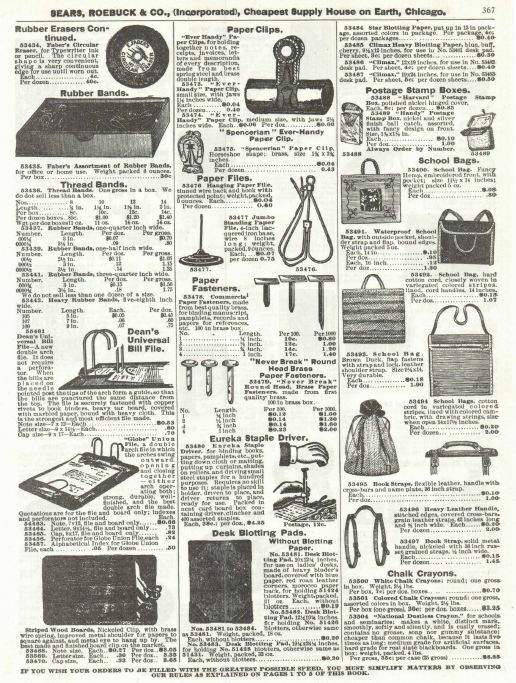 Also, by that time, the Sears catalog had become known in the industry as "the Consumers' Bible". 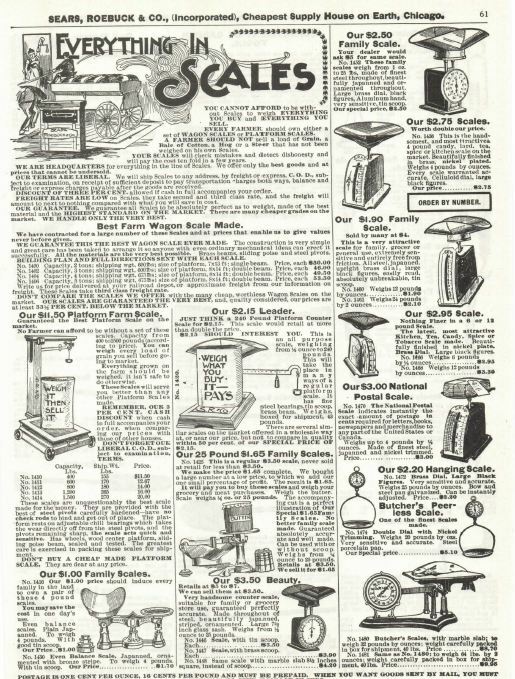 In 1933, Sears issued the first of its famous Christmas catalogs known as the "Sears Wishbook", a catalog featuring toys and gifts, separate from the annual Christmas Catalog. 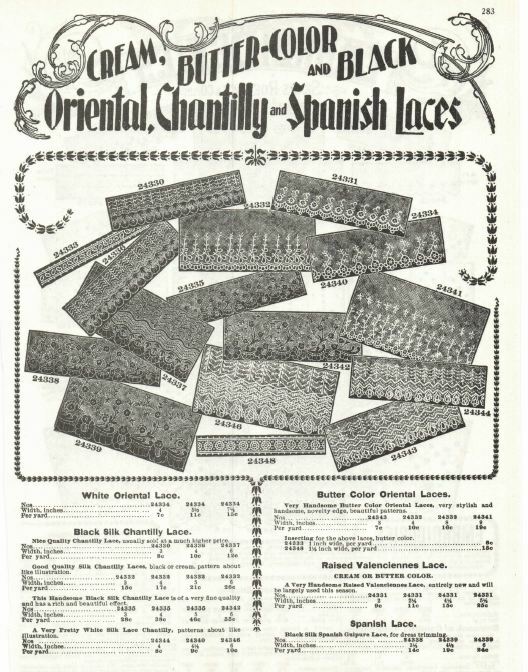 The catalog also entered the language, particularly of rural dwellers, as a euphemism for toilet paper. 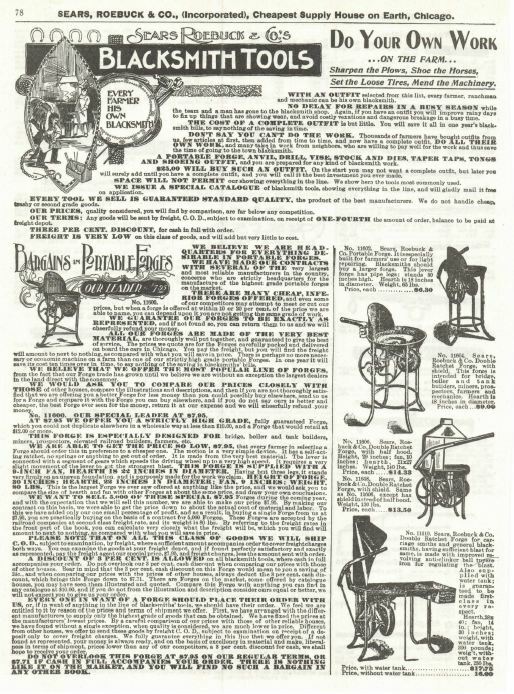 From 1908 to 1940, the catalog even included ready-to-assemble kit houses. 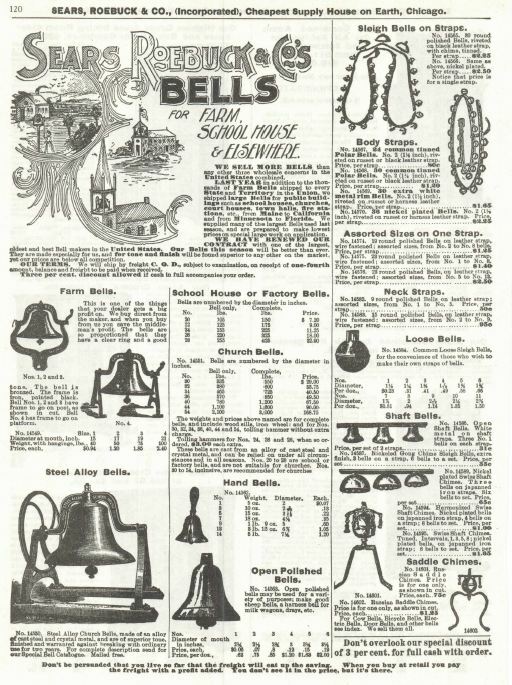 Novelists and story writers often portrayed the importance of the catalog in the emotional lives of rural folk. 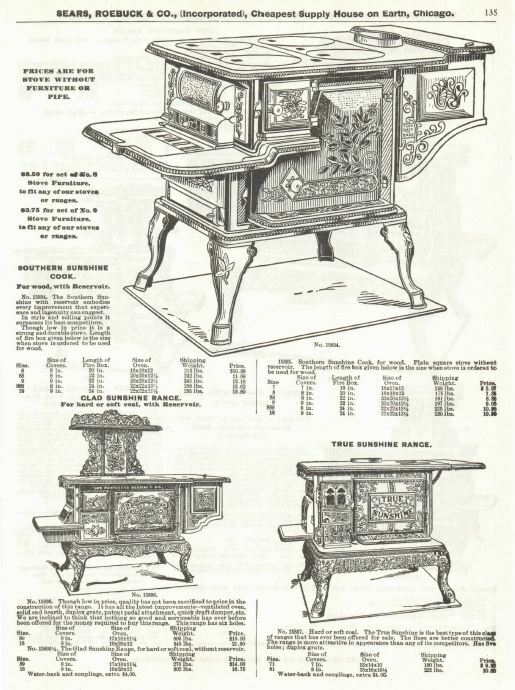 For children and their parents the catalog was a "wish book" that was eagerly flipped through. 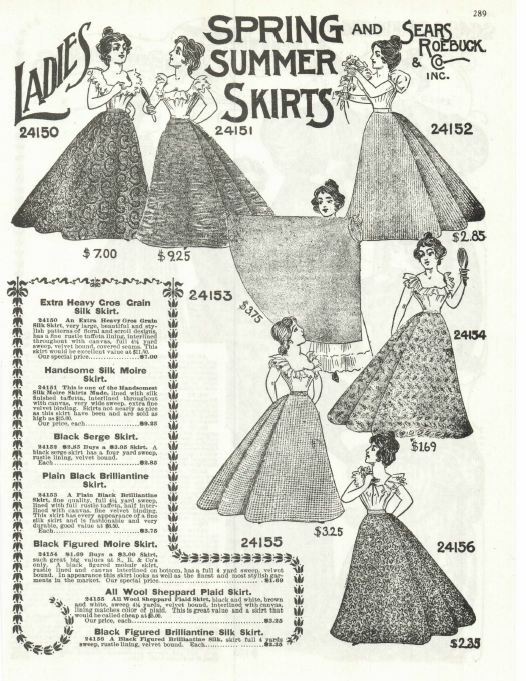 It was not a question of purchasing but of dreaming; they made up stories about the lives of the models on the pages. 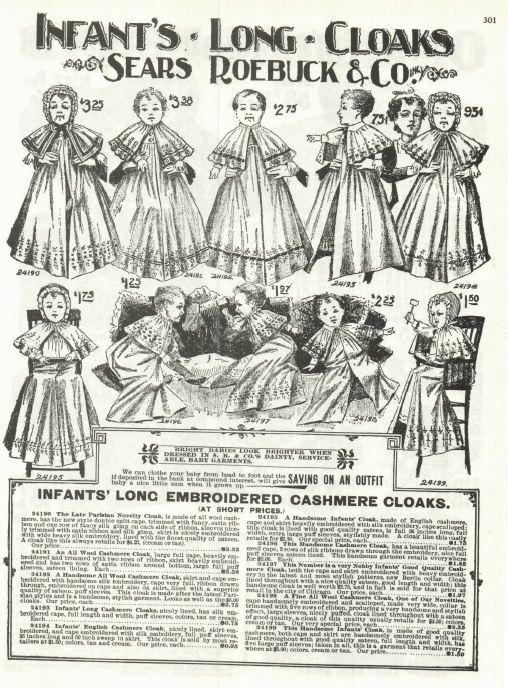 The catalog was a means of entertainment, though much of its magic wore off with the passing of childhood. 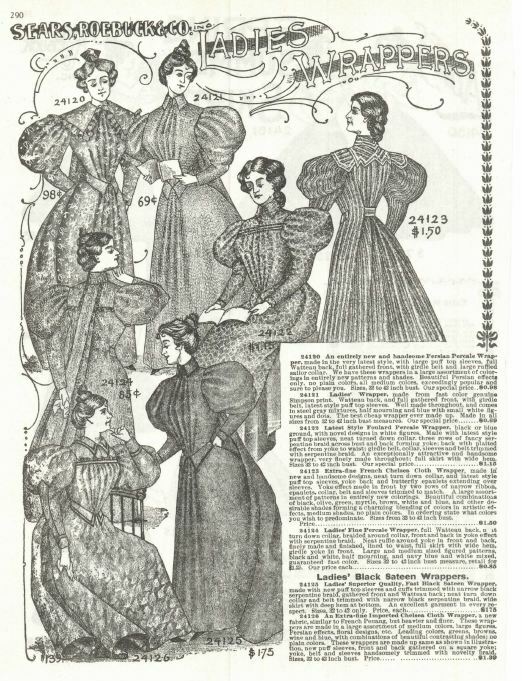 This history filled DVD contains all of the following catalogs. 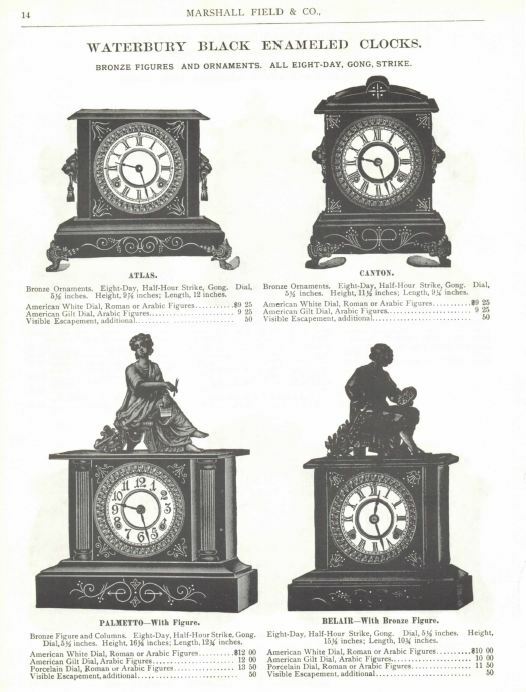 Please note that some of the larger catalogs have had pages lost over the years. 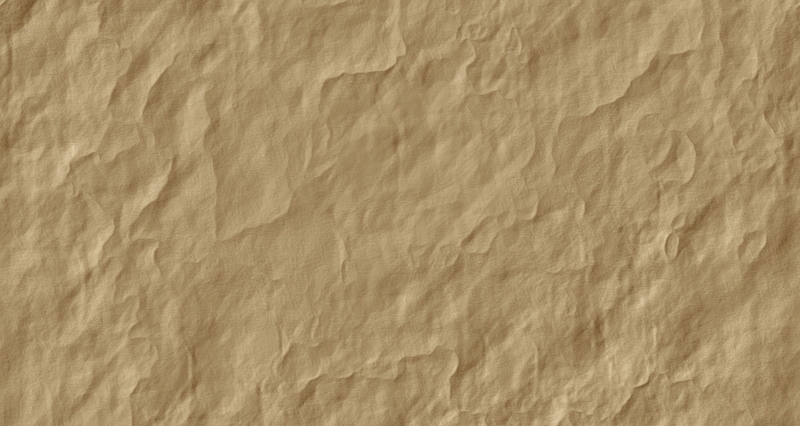 The page count shown is the actual pages that are contained in the PDF files on the DVD.